Shortly before his death (1563), he received the great schema from Saint Barsanuphius, and he was buried in the Savior-Transfiguration monastery. 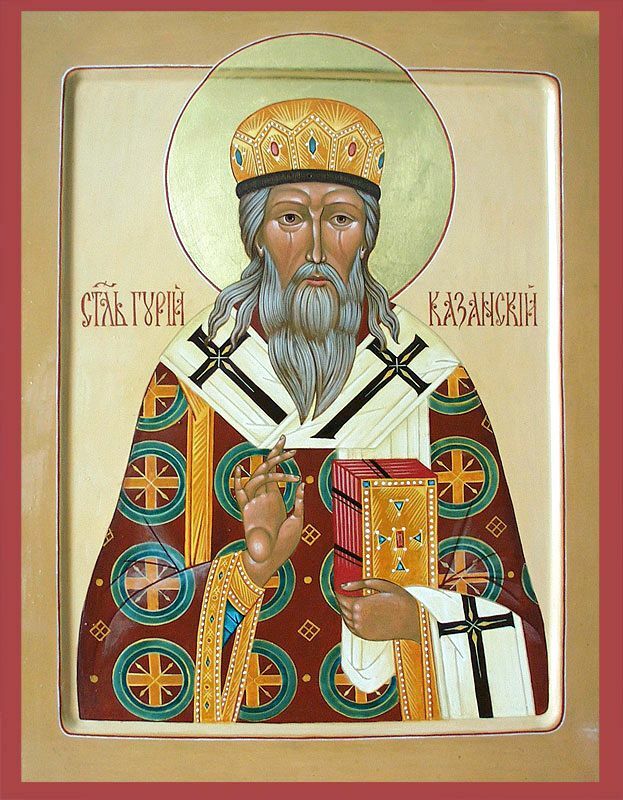 The Uncovering of the relics of Saint Gurias, First Archbishop of Kazan, and Saint Barsanuphius, Bishop of Tver, occurred at Kazan on October 4, 1595. During the construction of a new stone church in honor of the Transfiguration of the Lord at the Savior-Transfiguration monastery, which had been founded by Saint Barsanuphius, graves with the bodies of the holy hierarchs in the altar-wall were uncovered beneath the former wooden church. The unusual aspect of incorrupt graves filled Saint Hermogenes (February 17) with a pious desire to open the graves before a large crowd of the people.